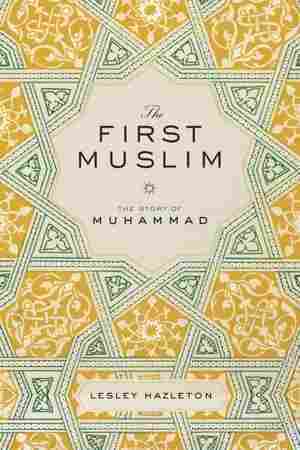 The First Muslim NPR coverage of The First Muslim: The Story of Muhammad by Lesley Hazleton. News, author interviews, critics' picks and more. Lesley Hazleton tells the story of how Mohammad went from orphan to merchant to founder of one of the Earth's largest faiths. January 29, 2013  A new biography of the Prophet Muhammad attempts to find the real man inside the mythology. Reviewer Drew Toal says the book describes the prophet as "a mostly reasonable, marginalized man beset by extraordinary circumstances." 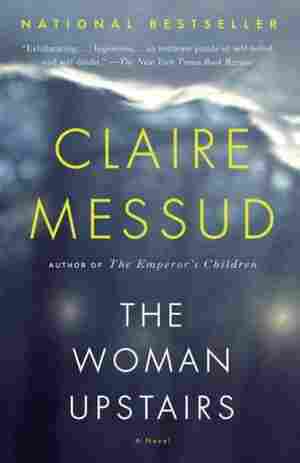 February 4, 2014  In fiction, Colm Toibin imagines Mary's life after Jesus' crucifixion, Anthony Marra chronicles a child's fate in war-torn Chechnya and Jamaica Kincaid meditates on the unraveling of a marriage. If he weren't standing lonely vigil on the mountain, you might say that there was no sign of anything unusual about him. The earliest sources describe him with infuriating vagueness for those of us who need images. "He was neither tall nor short," they say. "Neither dark nor fair." "Neither thin nor stout." But here and there, specific details slip through, and when they do, they are surprising. Surely a man spending night after night in solitary meditation would be a gaunt, ascetic figure, yet far from being pale and wan, he had round, rosy cheeks and a ruddy complexion. He was stockily built, almost barrel-chested, which may partly account for his distinctive gait, always "leaning forward slightly as though he were hurrying toward some­thing." And he must have had a stiff neck, because people would remember that when he turned to look at you, he turned his whole body instead of just his head. The only sense in which he was conven­tionally handsome was his profile: the swooping hawk nose long con­sidered a sign of nobility in the Middle East. On the surface, you might conclude that he was an average Meccan. At forty years old, the son of a man he had never seen, he had made a far better life for himself than had ever seemed possible. The child born an outsider within his own society had finally won acceptance, and carved out a good life despite the odds against him. He was comfortably off, a happily married business agent with the respect of his peers. If he was not one of the movers and shakers of his prosperous city, that was precisely why people trusted him to repre­sent their interests. They saw him as a man with no axe of his own to grind, a man who would consider an offer or a dispute on its merits and decide accordingly. He had found a secure niche in the world, and had earned every right, in middle age, to sit back and enjoy his rise to respectability. So what was he doing alone up here on one of the mountains that ringed the sleeping city below? Why would a happily married man isolate himself this way, standing in meditation through the night? There was a hint, perhaps, in his clothing. By now he could cer­tainly have afforded the elaborate embroidered silks of the wealthy, but his clothing was low-key. His sandals were worn, the leather thongs sun-bleached paler than his skin. His homespun robe would be almost threadbare if it hadn't been so carefully patched, and it was hardly enough to shield him against the nighttime cold of the high desert. Yet something about the way he stood on the mountainside made the cold irrelevant. Tilted slightly forward as though leaning into the wind, his stance seemed that of someone who existed at an angle to the earth. Certainly a man could see the world in a different way up here. He could find peace in the silence, with just the soughing of the wind over the rock for company, far from the feuds and gossip of the city with its arguments over money and power. Here, a man was merely a speck in the mountain landscape, his mind free to think and reflect, and then finally to stop thinking, stop reflecting, and submit itself to the vastness. Look closer and you might detect the shadow of loneliness in the corners of his eyes, something lingering there of the outsider he had once been, as though he were haunted by the awareness that at any moment everything he'd worked so long and hard for could be taken away. You might see a hint of that same mix of vulnerability and resoluteness in his mouth, the full lips slightly parted as he whispered into the darkness. And then perhaps you'd ask why contentment was not enough. Did the fact that it had been so hard-earned make him unable to accept it as a given, never to be secure in his right to it? But then what would? What was he searching for? Was it a certain peace within himself, perhaps? Or was it something more — a glimpse, maybe just an intimation, of something larger? One thing is certain: by Muhammad's own account, he was com­pletely unprepared for the enormity of what he would experience on this particular night in the year 610. A human encounters the divine: to the rationalist, a matter not of fact but of wishful fiction. So if Muhammad had behaved the way one might expect after his first encounter on Mount Hira, it would only make sense to call the story just that: a fable concocted by piety and belief. But he did not. He did not come floating o the mountain as though walking on air. He did not run down shouting "Hallelujah" and "Bless the Lord." He did not radiate light and joy. There were no choirs of angels, no music of the heavens. No elation, no ecstasy, no golden aura surround­ing him. No sense of his absolute, foreordained, unquestionable role as the messenger of God. Not even the whole of the Quran fully revealed, but only a few brief verses. In short, Muhammad did none of the things that might seem essential to the legend of a man who had just done the impossible and crossed the border between this world and another — none of the things that might make it easy to cry foul, to denigrate the whole story as an invention, a cover for something as mundane as delusion or personal ambition. On the contrary: he was convinced that what he had encountered could not be real. At best it must be a hallucination: a trick of the eye or the ear, or his own mind working against him. At worst, possession, and he had been seized by an evil jinn, a spirit out to deceive him, even to crush the life out of him. In fact he was so sure that he could only be majnun, literally possessed by a jinn, that when he found himself still alive, his first instinct had been to finish the job himself, to leap off the highest cliff and escape the terror of what he had experienced by putting an end to all experience. So the man who fled down Mount Hira trembled not with joy but with a stark, primordial fear. He was overwhelmed not with conviction, but by doubt. He was sure of only one thing: whatever this was, it was not meant to happen to him. Not to a middle-aged man who had hoped perhaps at most for a simple moment of grace instead of this vast blinding weight of revelation. If he no longer feared for his life, he certainly feared for his sanity, painfully aware that too many nights in solitary meditation might have driven him over the edge. Whatever happened up there on Mount Hira, the sheer humanness of Muhammad's reaction may be the strongest argument for its historical reality. Whether you think the words he heard came from inside himself or from outside, it is clear that Muhammad experienced them, and with a force that would shatter his sense of himself and his world. Terror was the sole sane response. Terror and denial. And if this reaction strikes us now as unexpected, even shockingly so, that is only a reflection of how badly we have been misled by the stereotyped image of ecstatic mystical bliss. Lay aside such preconceived notions for a moment, and you might see that Muhammad's terror speaks of real experience. It sounds fal­libly human — too human for some, like conservative Muslim theolo­gians who argue that the account of his trying to kill himself should not even be mentioned despite the fact that it's in the earliest Islamic biographies. They insist that he never doubted for a single moment, let alone despaired. Demanding perfection, they cannot tolerate human imperfection. Perhaps this is why it can be so hard to see who Muhammad really was. The purity of perfection denies the complexity of a lived life. For Muslims worldwide, Muhammad is the ideal man, the prophet, the messenger of God, and though he is told again and again in the Quran to say "I am just one of you" — just a man — reverence and love cannot resist the desire to clothe him, as it were, in gold and silver. There is a proprietary feeling about him, a fierce protectiveness all the stronger at a time when Islam itself is under such intense scrutiny in the West. But the law of unintended consequences applies. To idealize someone is also, in a way, to dehumanize them, so that despite the millions if not billions of words written about Muhammad, it can be hard to get any real sense of the man himself. The more you read, the more liable you are to come away with the feeling that while you may know a lot about Muhammad, you still don't know who he was. It's as though he has been all but smothered by the accumulated mass of so many words. Though the reverential legends about him are often magnificent, they work as perhaps all legends do: they obscure more than they reveal, and he becomes more a symbol than a human being. Even as Islam is rapidly closing on Christianity as the world's largest religion, we thus have little real sense of the man told three times in the Quran to call himself "the first Muslim." His is without doubt one of the most consequential lives ever lived, yet for all the iconic power of his name alone — or perhaps because of it — it is a life still to be explored. How did this man shunted as a child to the margins of his own society ("a man of no importance," as his opponents call him in the Quran) come to revolutionize his world? How did the infant sent away from his family grow up to redefine the whole concept of family and tribe into something far larger: the umma, the people or the community of Islam? How did a merchant become a radical re-thinker of both God and society, directly challenging the established social and political order? How did the man hounded out of Mecca turn exile into a new and victorious beginning, to be welcomed back just eight years later as a national hero? How did he succeed against such odds? To answer such questions requires exerting the biographer's privilege and real purpose, which is not merely to follow what happened but to uncover the meaning and relevance within the welter of events. It means weaving together the complex elements of Muhammad's life, creating a three- dimensional portrait not so much at odds with the "authorized" version as expanding it. The great British philosopher and historian R. G. Collingwood maintained in The Idea of History that to write well about a historical figure, you need both empathy and imagination. By this he did not mean spinning tales out of thin air, but taking what is known and examining it in the full context of time and place, following the strands of the story until they begin to intertwine and establish a thick braid of reality. If we want to understand the dynamics of what can only be described, with considerable understatement, as a remarkable life — one that would radically change his world, and is still shaping ours — we must allow Muhammad the integrity of reality, and see him whole. His story is an extraordinary confluence of man, time, and cul­ture, and it begs a deceptively simple question: Why him? Why Muhammad, in the seventh century, in Arabia? Just to think in such terms is both exciting and daunting. On the one hand, these questions lead straight into a virtual minefield of deeply held beliefs, unwitting preconceptions, and cultural assump­tions. On the other, they allow us to see Muhammad clearly, and to understand how he accomplished his journey from powerlessness to power, from anonymity to renown, from insignificance to lasting significance. The constant guides through his life are two early Islamic histories: the lengthy biography of him written in eighth-century Damascus by ibn-Ishaq, on which every subsequent biography at least claims to be based, and the more politically focused history of early Islam by al-Tabari, written in late-ninth-century Baghdad, which comes to a magisterial thirty-nine volumes in translation, four of them devoted to Muhammad's lifetime. These early historians are conscientious. Their authoritativeness lies in their inclusiveness. They wrote after the fact, working with oral history in the full awareness of how both time and piety tend to warp memory, blurring the line between what was and what should have been. If they erred, it was deliberately on the side of thoroughness rather than judgment. Reading them, one senses their awareness that they are walking a fine line between their responsibility to history on the one side and tradition on the other. This delicate balancing act between history and faith goes hand in hand with their acknowledg­ment of the elusiveness of definitive fact — a quality as slippery in the hyper-documented world of today as it was in the oral tradition of theirs. Instead of aspiring to omniscience, then, they included con­flicting accounts and left it to their readers to decide for themselves, though they did indicate their point of view. Throughout ibn-Ishaq's work, for instance, there are phrases such as "it is alleged that" and "so I have been told." In fact when several eyewitness accounts seem to contradict one another, he often sums up with "As to which of these is correct, only God knows for sure" — a statement that verges on a help­less "God knows!" Perhaps the only other life that has been written about so much and has yet remained such a mystery is that of Jesus. But thanks to the efforts of scholarly groups like the Jesus Seminar, new studies in the past few decades have explored beyond the letter of the Gospel accounts to create not only a more human portrait of him, but also deeper insight into his impact. These scholars delved beyond theology into history, political science, comparative religion, and psychology, highlighting the radical political relevance of Jesus' message. By look­ing at him in the full context of his time, they made him not less but more relevant to our own. The parallels between Muhammad and Jesus are striking. Both were impelled by a strong sense of social justice; both emphasized unmediated access to the divine; both challenged the established power structure of their times. As with Jesus, theology and history travel side by side in any account of Muhammad's life, sometimes as closely as train tracks, at others widely divergent. Miracle sto­ries abound in an accretion of sacred lore built up by those treasuring what should have happened even if it didn't. Despite the Quran's in­sistent disavowal of the miraculous, there seems to be a very human need for it, and for theology to demand faith in the improbable — the impossible — as a test of commitment. Conservative Islamic tradition thus maintains that Muhammad was destined from the start to be the messenger of God. But if that is so, then there is no story of his life. That is, it becomes a matter of the inevitable unfolding of divine will, and thus devoid of all conflict or tension. To some pious believers, this will more than suffice; the prophet's innate exceptionalism is a given, and any biography is irrele­vant. But to many others, what is compelling is not the miraculous but the humanly possible. Muhammad's is one of those rare lives that is more dramatic in reality than in legend. In fact the less one invokes the miraculous, the more extraordinary his life becomes. What emerges is something grander precisely because it is human, to the extent that his actual life reveals itself worthy of the word "legendary." His story follows the classic arc of what Joseph Campbell called "the hero's journey," from inauspicious beginnings to extraordinary success. But this journey is never an easy one. It involves struggle, dan­ger, and conflict, within oneself as much as with others. So to elide the more controversial aspects of Muhammad's life does him no service. On the contrary, if we are to accord him the vitality and complexity of a man in full, we need to see him whole. This means taking what might be called an agnostic stance, laying aside piety and reverence on the one hand along with stereotype and judgmentalism on the other, let alone the deadening pall of circumspection in the middle. It means finding the very human narrative of a man navigating between ideal­ism and pragmatism, faith and politics, nonviolence and violence, the pitfalls of acclaim as much as the perils of rejection. The pivotal point of his life is undoubtedly that one night on Mount Hira. That was when he stepped into what many think of as his destiny, which is why Muslims call it laylat al-qadr, the Night of Power. It's certainly where he stepped into history, though that word too can be misleading. It implies that Muhammad's story belongs in the past, when in fact it continues to have such an impact that it has to be considered a matter as much of current events as of history. What happened "then" is an integral part of what is still happening, a major factor in the vast and often terrifying arena in which politics and religion intersect. To begin to understand this man who wrestled with the angel on the mountaintop and came down seared by the encounter, however, we need to ask not only what happened that night on Mount Hira and what it would lead to, but what led him to it. Especially since from the start, despite the legends, the signs were not promising. Indeed, any objective observer might have concluded that Muhammad was a most unlikely candidate for prophethood, since whatever stars he was born under, they seemed anything but auspicious. Excerpted from The First Muslim by Lesley Hazleton. Copyright 2013 by Lesley Hazleton. Excerpted by permission of Riverhead Books.